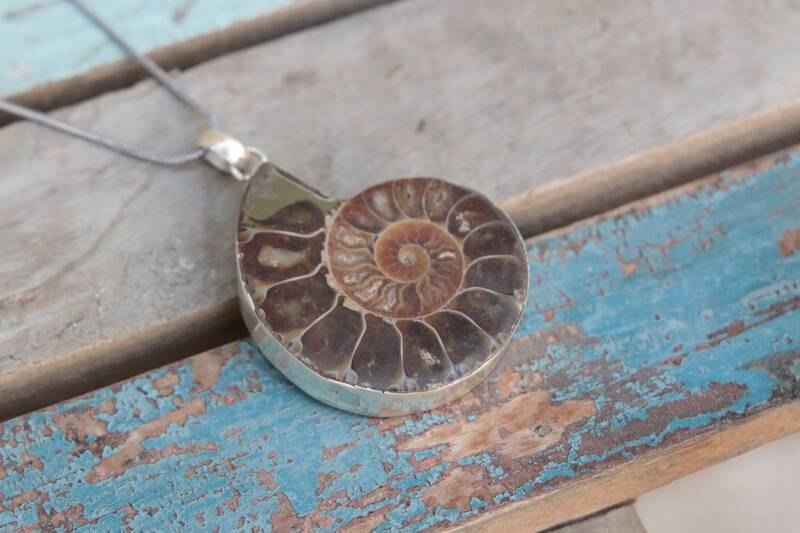 This statement Necklace features a bold and beautiful genuine Ammonite fossil hung on silver chain. 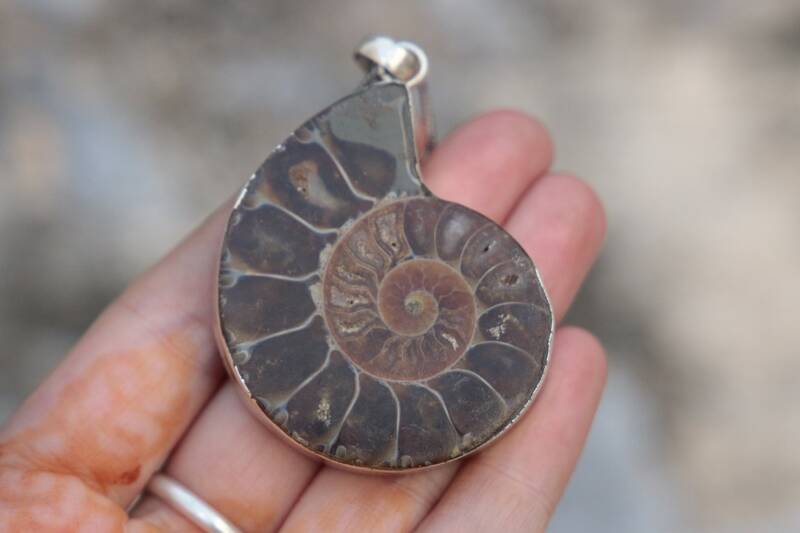 The natural spiral shapes of the ammonite crystals draw in the eye making them eye catching and unique pieces, they represent the fibonaci sequence which is a powerful symbol found in nature and a great aid for meditation. 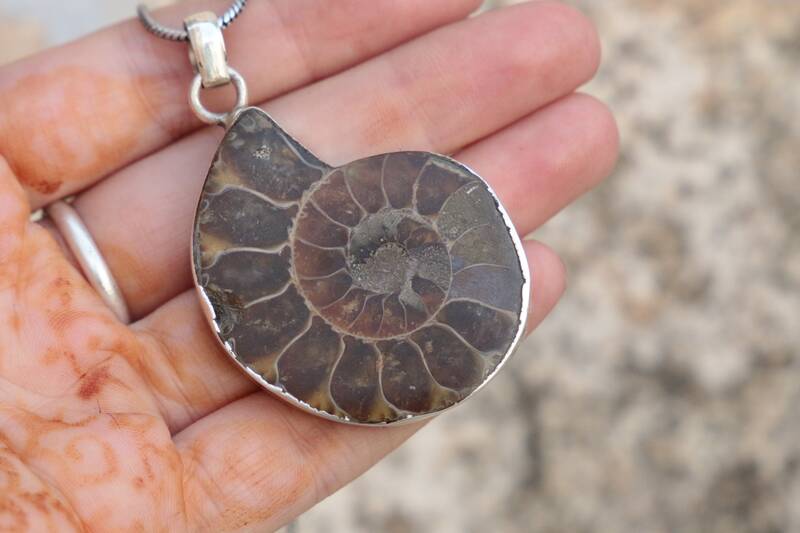 Ammonites are found in oceans and beaches all over the world, we found ours when we were travelling in India and fell in love with their mysticism and history! 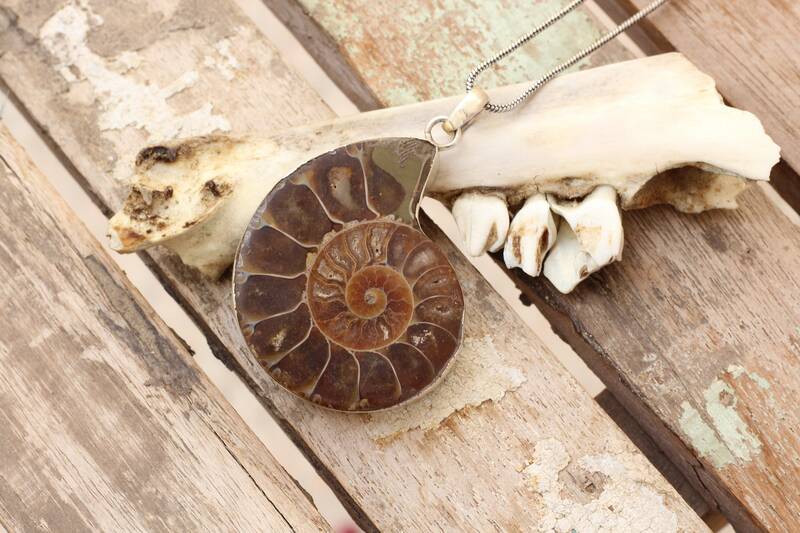 These creatures lived in the seas between 240 - 65 million years ago, when they became extinct along with the dinosaurs so are truly magical and unique pieces to own! 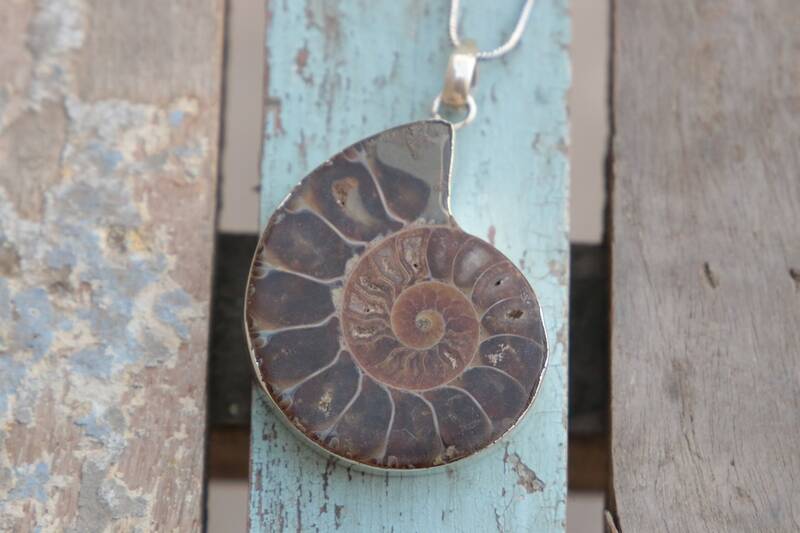 Ammonites are powerful healing fossils and the fractal shapes help to absorb and filter negative energies. 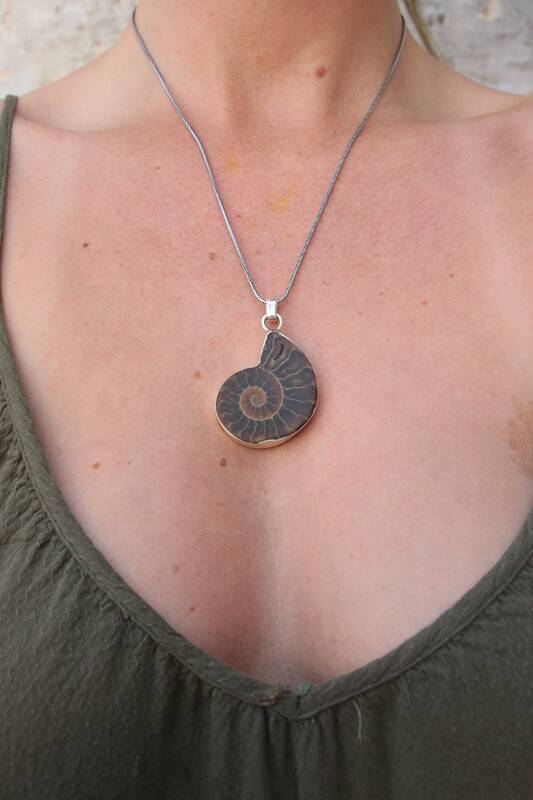 They have absorbed the energies of the ocean over thousands of years and are used often to restore balance and harmony. 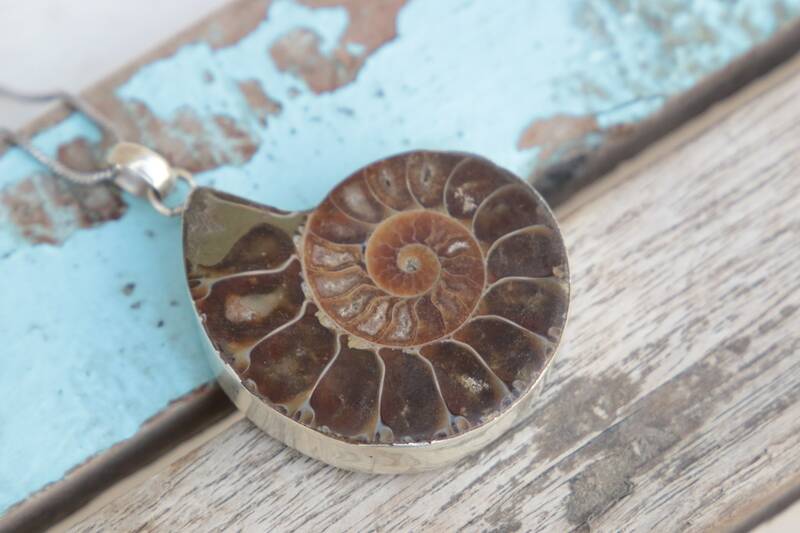 * All jewellery comes beautifully packaged in organza bag, making it great for gift giving, to keep it safe and easy to store.